After a great deal of preparation Rushden Swimming Club was proud to host its first George Thompson level 3 Licensed Open Meet at The Queen’s Diamond Jubilee Centre in Rugby on Saturday 9th June. The meet was held at Rugby due to the pool having its own computerised timing system. It is now planned for the meet to be an annual event on the Competitive Swimming calendar. 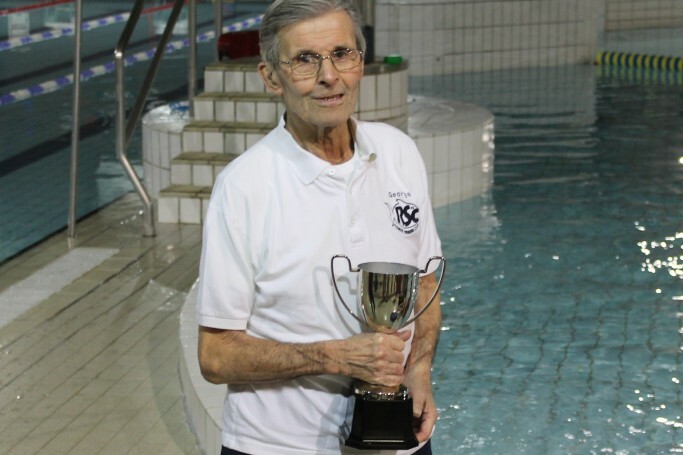 The George Thompson Open Meet was named in memory of RSC’s Lifelong President who sadly passed away in 2015. The swimming club was an enormous part of George’s life; from his competitive swimming days which began at the age of 12, to coaching and as a long standing member of the Committee. George was the last person to swim in the old open air Rushden pool (which was condemned in 1985) and the very first person to swim in the new Splash pool which opened in 1990. It was an exciting and emotional day. Before the meet started a presentation was made to Anne Cooper (George’s daughter) whose family attended the meet as special guests. Rushden Swimming Club would like to thank all volunteers for helping out on the day and to Daventry, Corby and St Neots Swimming Clubs for attending. Error: Error validating access token: Session has expired on Sunday, 10-Mar-19 10:19:09 PDT. The current time is Thursday, 25-Apr-19 14:58:55 PDT.